Brin Jalasar sat by his window, staring with unseeing eyes at the scenery below. Cale is gone. The thought dropped endlessly into the empty chasm of his soul, leaving echoes of its passing as it fell. Cale is gone…is gone…gone… The strike against the enemy army had provided only a temporary respite from the pain. The satisfaction he drew from seeing the creatures blasted into the air quickly dried up and blew away like the dust on the arid wind the Topaz Loremaster had created. He drew a ragged breath as the realization hit him once more that he would never see his youngest son again. Then a tingle on the back of his neck told him he was not alone. “Behold the noble Ruby Loremaster, master of stone and earth,” a whispery, shifting voice said. Brin turned, and then stood as he saw a mass of shifting shadows in the corner. “Who are you? What do you want?” he demanded. Every inch of his body suddenly felt as if it were on fire. He tried to cry out, but no sound would come. The intensity of the pain drove him to his knees. He reached for his own power, but not so much as a spark answered. 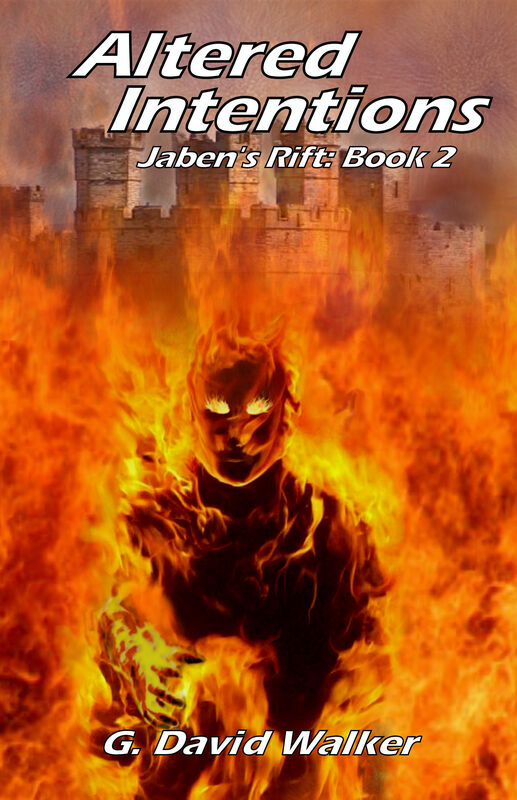 He managed a nod, and then gasped as the burning agony disappeared as abruptly as it began. He struggled to his feet, drenched in sweat from the brief ordeal. The breeze from the window, which before had been cool and pleasant, now felt like the icy winds of Landsleep. His muscles twitched and jumped with the memory of the pain. “What do you want with me?” he whispered between clenched teeth. “What kind of task?” His muscles slowly unclenched, the spasms easing. His two elder sons appeared before him. As he watched, the stone of the floor encased their feet, creeping up their legs. He heard their cries of pain. They cried out to him to save them. He was the Ruby Loremaster, keeper of stone lore! Surely he could rescue his own family from its grip? He called on his power, but nothing came. He was helpless to stop the horror he saw before him. No, no, no… He beat and clawed at the stone, but it moved higher. Their voices became hoarse whispers as the stone constricted their chests. Then they were unable to speak at all as the stone covered their mouths. All he saw now were accusing looks of betrayal from their eyes, and then those were gone also. Only columns of grey stone stood where his sons had been. “No!” he sank to his knees once more, sobs tearing at his chest. It felt as if his heart must surely burst. Not his family too! He looked up to see their encased bodies again, but they were gone. His gaze dropped to the floor, but he nodded. Jason followed Reyga through the halls of Lore’s Haven. They were quieter than ever, the people going about their business quickly, or clustering in small groups sharing subdued conversations. As when he’d gone to breakfast, after the polite greetings, the people watched as he and Reyga walked by. He saw some of them whispering to each other, their eyes never leaving the pair. There was no answer at first. Jason thought she either wasn’t there, or she wasn’t going to acknowledge her visitor. Then he heard her voice. This time, the silence from the other side of the door lasted so long Jason was sure that Lenai wasn’t going to answer at all. Just as Reyga raised his hand to knock again, the latch turned and the door opened slightly. Reyga looked as if he’d expected her reply, but hoped for another. He gave Jason a meaningful look and walked back the way they’d come. “Please come in, Jason Bennett,” she said in a flat, dull voice. He pushed the door open and stepped into the room. It was a small room, sparsely decorated. A bed sat against the wall across from the door. Dark curtains covered the lone window. Sconces on the walls at either end of the room provided light, and a small table by the bed held a pitcher, a mug, and a small charcoal sketch of a man, woman, and three children. A wooden stool sat in the corner opposite the bed. He turned as Lenai closed the door behind him. Her appearance shocked him. It wasn’t so much that she looked different from before, as much as it was her demeanor. Where before she had been confident and sure of herself to the point of aloofness, she now seemed diminished somehow. When she had shown him around Lore’s Haven, she had always met his eyes almost defiantly. Now her gaze wandered across the floor, only occasionally jumping up to him, then just as quickly away. Her eyes were rimmed with red, and her skin had a distinct grayish pall to it. “Lenai, there was nothing you could have done.” He was getting an idea of how frustrated Reyga must be. “Help her to see that she shares no blame.” Reyga’s words echoed in his head. How could he do that if he couldn’t even talk to her? If she wouldn’t even listen to him? He searched his mind for a plan. What could he do? Well, that got her attention. Now what? He didn’t know what to say next. He forged ahead, hoping the right words would come out. “So explain it to me,” he shot back, putting as much sarcasm as he could into his voice. “From what I hear, no one could have stopped what happened. What could the mighty Lenai of the Shanthi have done that no one else could have?” He was trying to keep her just a little angry, anything to keep her talking. 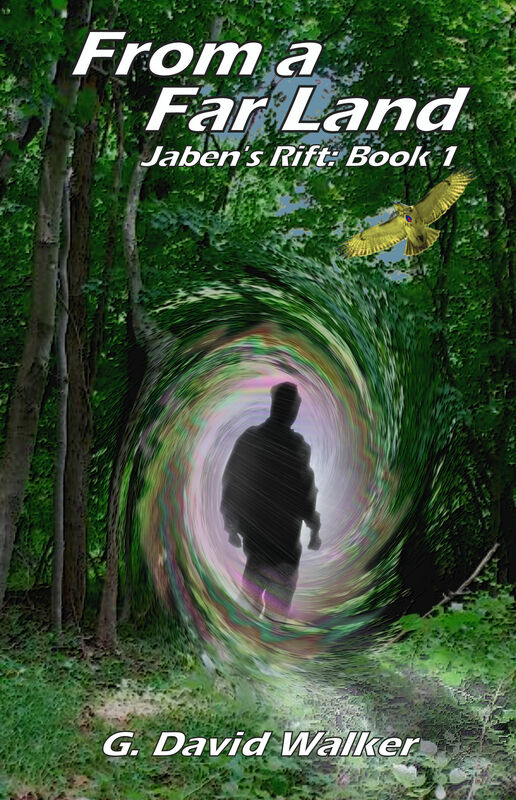 She didn’t move, but Jason saw a sudden tenseness in the line of her shoulders and neck. “Bodann is one of your kinsmen?” she asked, an edge to her voice. The chair slammed against the wall, splinters flying in all directions from the force of the impact. Pieces of wood and ceramic that had once been décor and mugs littered the floor around the chair. Gatlor glared at the wreckage, and then looked around for something else to throw. He had thought the cold rage from the day before was gone, but today, after his discussion with the High One, it filled him again. A knock at the door stopped him before he could find another projectile. Without waiting for an answer, the door swung open. Calador ducked into the room. “For which, I am certain, your men are grateful,” he said. He looked at them without answering as his breathing gradually slowed to a more normal pace. Then he walked over and closed the door behind them. “A terrible thing,” Seerka said. He shook his head. “No. It would have to be someone privy to our plans, and I mean all of our plans. That would only be the Circle and my officers.” He stood and began pacing the room. “But I cannot imagine anyone in either of those groups being a traitor.” He kicked a broken mug out of his path. “That is another possibility,” he agreed, still pacing. “I do not envy the one who suggests that possibility to Loremaster Delani,” Calador said. He grunted but didn’t answer. The Amethyst Loremaster would almost certainly see even the mere suggestion as an affront to her and her Order. She handpicked her students, and then only after a series of tests and interviews more rigorous than any other Order. He stopped pacing, thinking again about the men and women whose blood still stained the ground at the edge of the Scorched Plains. He looked at the Ferrin from under lowered brows as the cold invaded his soul once more. “Not by half,” he said in a voice that promised retribution. 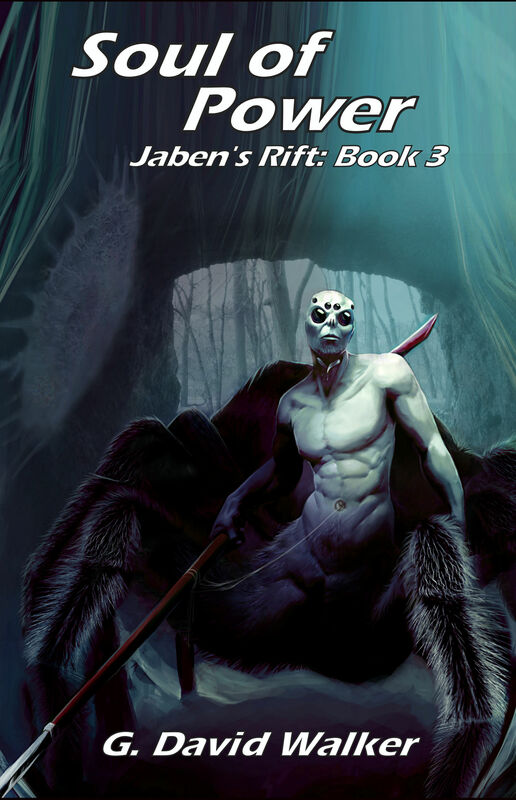 Posted on May 21, 2017 May 24, 2017 by Dave WalkerPosted in Jaben's RiftTagged Fantasy, Jaben's Rift. Next Next post: Batter Up!